Social media is a new aspect of technology that has boomed over the past few years. Many people use it to let people know whats going on in their lives or share interesting information and common interests with other people. A new found innovation with social media is the benefit it can have during a time of crisis. 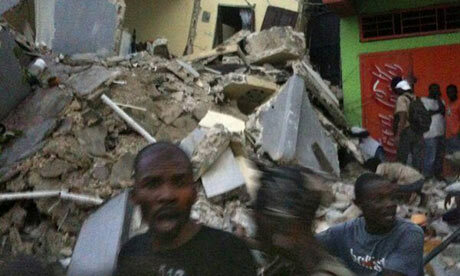 During the aftermath of the earthquake that took place in Haiti social media, especially Twitter, came in very useful. CNN has part of their website called the iReport where the audience was able to upload information such as pictures, videos, and contact information that could let people know what was going on and find loved ones that were not able to be reached. It was learned that the purpose of the news is meant to connect people and not just report to them. Social media is absolutely beginning to make a new name for itself. It is not simply a tool for entertainment or constant personal status updates, but global status updates. Now the people all over the words can be given a voice using public relations.